A farmers’ market is a self-policing non-profit organization that consists of farmers, gardeners, bakers, specialty food producers and/or crafters. The market members decide on their days and hours of operation and length of season, then attempt to create a viable presence of vendors at those times. According to Maine law, for a market to be called a “farmers’ market,” there must be 2 or more farmers, selling food produced on their own farms. Farmers’ markets are an enhancement to any community, and add color, options, and a world of local goods that may not be available at the local grocer. It is helpful to understand that the market is an organized collection of independent growers each with their own standards of friendliness, quality, display, selection and price. 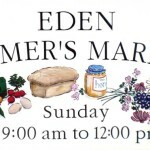 They have joined together in a farmers’ market to assure the shopping public of regular hours, high quality, and wide selection, and to thereby attract more customers than any one of them could do alone. Market members have agreed to follow the rules of the market and pay dues to the association as a prerequisite to sell at the market. Most farmers’ markets assure that each market member has obtained all proper state licenses for items being offered for sale. Going to farmers’ markets is at the root of the good life in Maine. 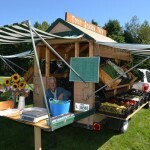 The Maine Federation of Farmers’ Markets (MFFM) cultivates that root and keeps it strong. Our statewide programs help sustain Maine farms, connect market farmers, strengthen farmers’ markets, and widen access to locally-grown food for all. MFFM does not operate any farmers’ markets, does not field applications to join farmers’ markets, and does not start new markets. How do I join a farmers’ market? Most of Maine’s markets are cooperatively operated by the market members. That means each has its own rules, season, policies, etc… The best way to find out how to join a particular farmers’ market is to check the market’s website or social media, and then to get in touch with the market manager. Expect to apply during the winter, then attend a meeting to discuss your products, before awaiting the outcome of the market membership’s vote. Keep in mind that many markets do not have room to accept new vendors even at the beginning of the season, whereas others might accept new vendors even mid-season. There is much variability, so be sure to get specific details about the market/s you wish to join. How many farmers’ markets are there in Maine? There are about 115 summer farmers’ markets and 30-35 winter farmers’ markets. What is SNAP? How does SNAP work at farmers’ markets? SNAP is the Supplemental Nutrition Assistance Program. It is the federally-funded and locally-administered program historically known as “food stamps.” Throughout it’s 50+ year history, SNAP has had a profound impact on the well-being of individuals and families, providing much needed nutrients and financial stability during tough times. Visit our Low-Income Access page to learn more about how your farmers’ market can engage with SNAP to make your food more accessible to more Mainers. How does the Maine Harvest Bucks Program work? When SNAP shoppers use their benefits at participating CSA farms, farmers’ markets, farm stands, and food co-ops, they receive “bonus bucks” (usually in the form of a coupon) to redeem for fruits and vegetables. Maine Harvest Bucks stretch SNAP dollars to increase SNAP customer spending power and empower low-income shoppers to make healthy food choices. What is WIC? What do I have to do to accept WIC? WIC is short for the Special Supplemental Nutrition Program for Women, Infants and Children. This federally-funded, locally-administered program provides food assistance to income-eligible pregnant and postpartum mothers and their children ages 0 – 5 years. A special program called the WIC Farmers’ Market Nutrition Program issues checks to recipients for use at farmers’ markets to buy fresh produce. At farmers’ markets, WIC operates on a farmer-to-farmer basis. Visit the WIC section on our Low-Income Access page to learn more about WIC and how you can become a certified WIC farmer.